We've spent serious time with spirits and honey in our test kitchen, creating a collection of go-to recipes for any occasion. But wormwood gin presents a different challenge. 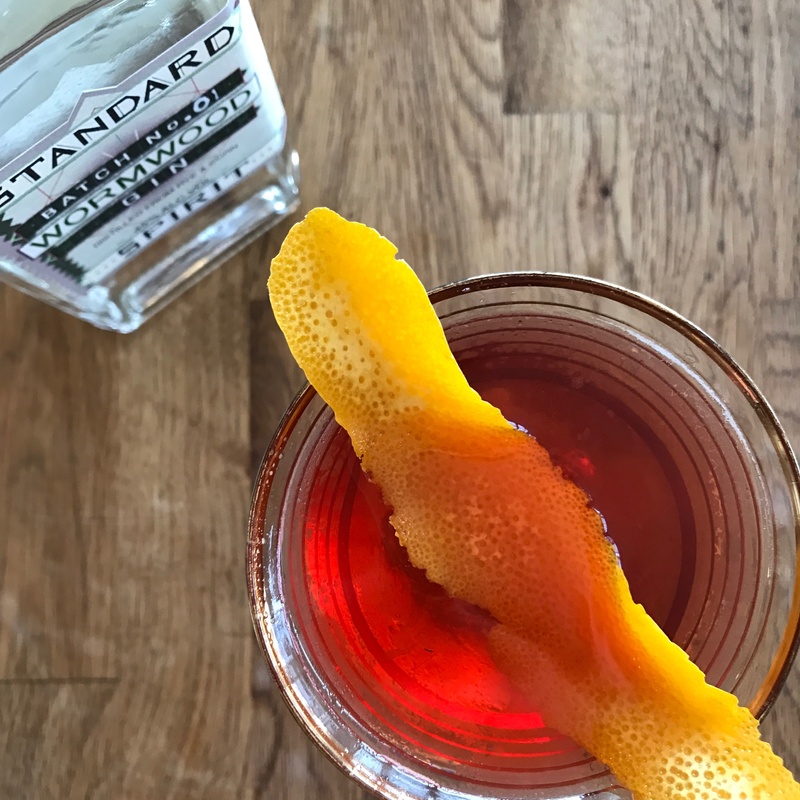 Distilled "with the whiskey drinker in mind," Standard's offering lands heavy on the palate, with notes of moonshine, hay, and smoky cardamom. So what do you do when your gin need more serious cocktail, something with more heft? Our thirst quenched but not satisfied, we hit the books, looking for an alternative that might play better with a mysterious gin and raw honey. 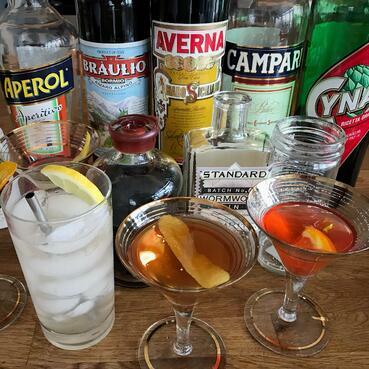 We hit the jackpot with the Martinez, a cocktail widely considered the predecessor of the martini. 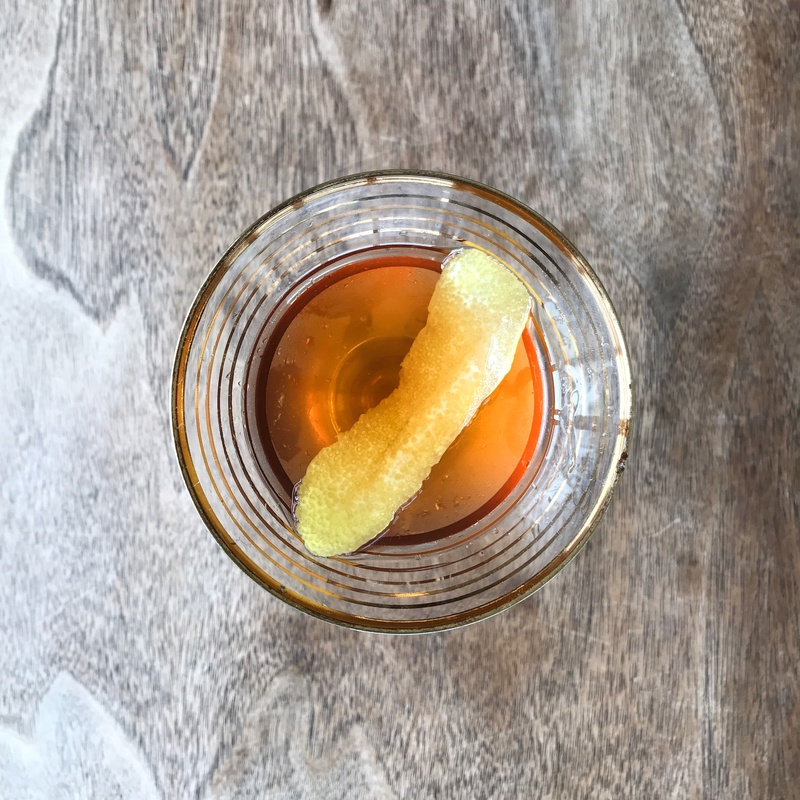 The ingredients in a Martinez offer just the right balance, creating a cocktail with up-front sweetness that gracefully folds to the influence of bitter wormwood and Angostura. In our version we substituted honey syrup for maraschino liqueur, and the balance we sought was finally ours. Combine gin, vermouth, honey syrup, bitters and 2 cups ice in a large glass. Stir for 20 seconds and strain into a chilled cocktail glass.